This is my Sims 4 version of a house I made in Sims 3. I hope you simmies will enjoy it. 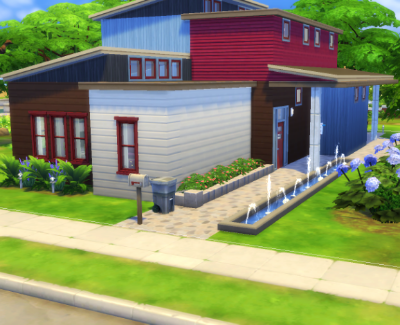 If this download doesn't work you can find the house on the Sims 4 Gallery. My ID is Barmina and here is the link to my Library. You have to be logged in to be able to find them. To install these files in your game you have to unzip the zipfile, open the folder and move the files in it into the Tray folder in Your Computer/Document/Electronic Arts/The Sims 4. Then when you open your game you can find the house in your Library and download it to your game from there. 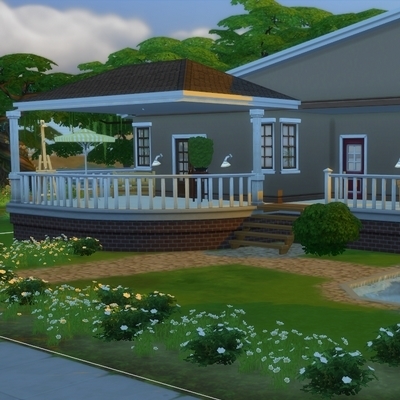 If you like my Sims4 houses you can find more of them in The Sims 4 Gallery. My name there is Barmina and you can also search for #Marbi. Sorry that I don't have any more pictures to show. I only have the base game and didn't use any CC. Open the Tray folder and paste ALL the files into the Tray folder. Now this lot should be in your Library.